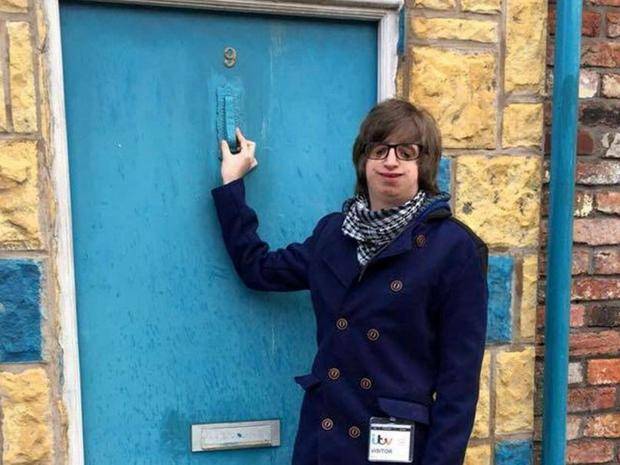 A teen in the U.K. who was born with a rare genetic disorder that causes facial deformities is hitting back at the production crew behind a dating show titled, “The Undateables.” Ashley Carter, who has worked to combat bullying after suffering years of torment from his peers, said he was “insulted” to receive an email inviting him to join the cast. Carter, who has Treacher Collins syndrome, has appeared on several talk shows in the U.K. to share his story and experiences. The syndrome affects the development of bones and other tissues of the face, with symptoms ranging from unnoticeable to severe, and can be potentially life-threatening for infants. According to a program description, “The Undateables” is a documentary series that follows people with challenging conditions who are looking for love. Critics say it perpetuates stereotypes about people with disabilities. Carter said he received a second email in response to his criticism, which allegedly tried to explain the meaning of the show’s title. Carter did not indicate if he would send another response.